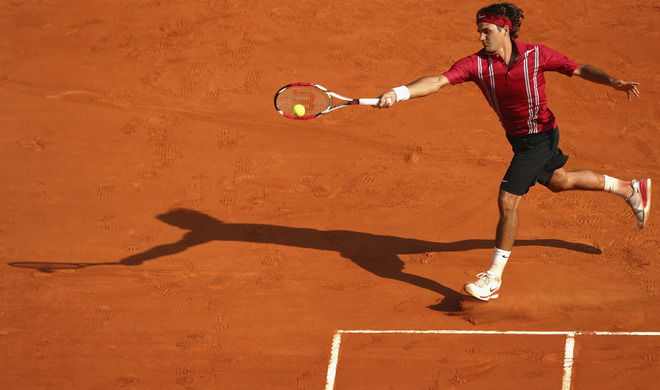 Tennis is back in swing next week as the draw was released this morning for the Monte Carlo Masters. 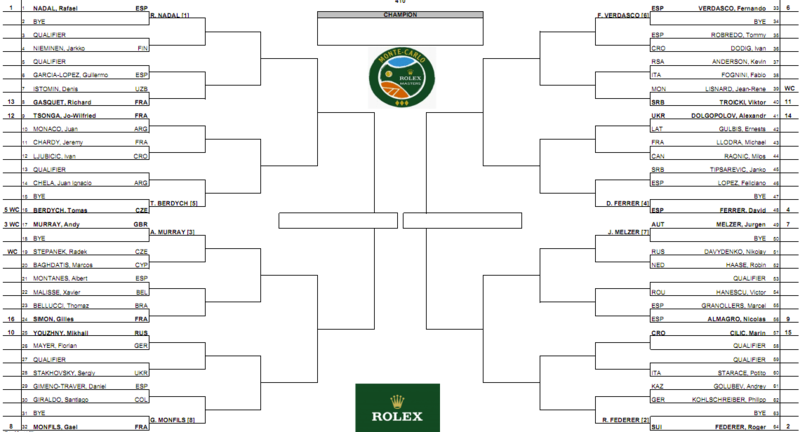 With Nole pulling out yesterday, the draw makes some small adjustments. All the seeds move up one spot, while Andy Murray and Tomas Berdych took wild card entries to be seeded #3 and #5, respectively. Read the full preview of the draw via the ATP Tour here. Check out the complete draw below. Click to enlarge. Thats it for this post. Follow the pulse at FedererFan07 in the right sidebar to see what fans all over the world are saying about everything in the tennis world. More to come next week, including the Monte Carlo photo album and more logos. 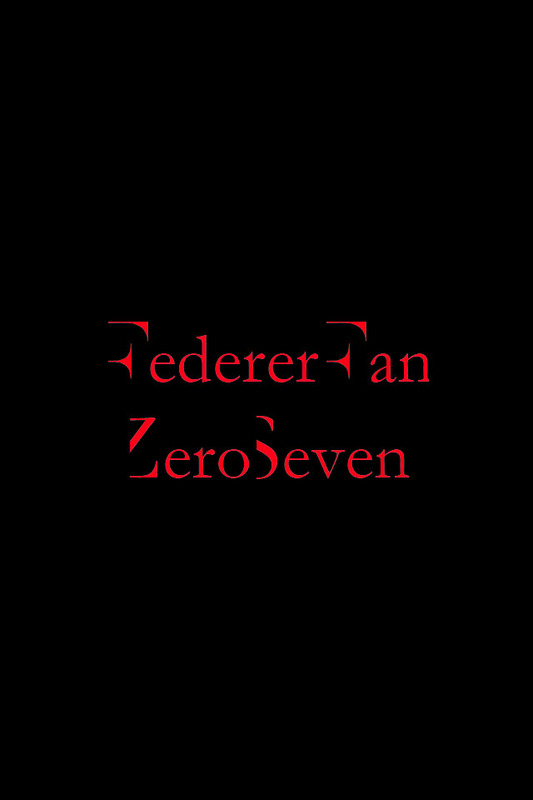 Add FedererFan ZeroSeven on Facebook to see the logos before anyone else!